What Does Philippians 1:20 Mean? 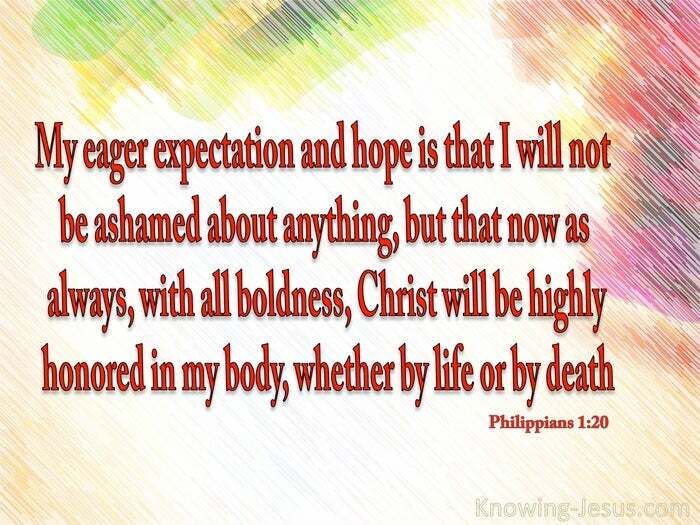 according to my earnest expectation and hope, that I will not be put to shame in anything, but that with all boldness, Christ will even now, as always, be exalted in my body, whether by life or by death. The earnest desire of Paul's heart was to know Christ more, to live for Him, to die daily to self and if necessary to give his life for the precious Saviour he loved so dearly. 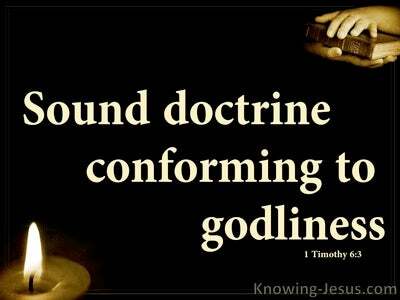 The deep desire of Paul's inner being was to be his utmost for the glory of Christ Jesus, so that others would come to know Him as their Lord and Saviour - as Paul irrevocably surrendered his all to his Lord. The determined purpose of Paul's heart was to exalt his Saviour for the greatest glory of God and to continue to his life's end, declaring the goodness of his gracious Master. Paul's highest resolve was that in all things he surrendered his will to his Lord - and that he both lived and died absolutely, entirely and in every way for Christ Jesus. As a prisoner in Rome he sought to tell of the good news that Christ died for our sins and was raised on the third day, for he was not ashamed of the gospel of Christ. 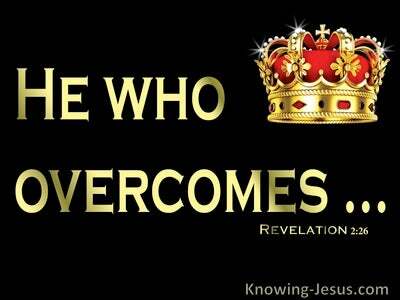 Paul knew that it was the power of God to salvation to ALL who believe. Paul fully expected and hoped that he would remain faithful to his life's end and never be ashamed of his Saviour - but would continue to be as bold for Christ, as he has been in the past, trusting that his life would bring honour to Him, whether he lived or died. Let us endeavour to be like Paul and develop an eager expectation to be our utmost for His highest. May we stand fast to the end and never have reason to feel ashamed of our Saviour, so that Christ is glorified in all we say and all we are - whether we live or die. 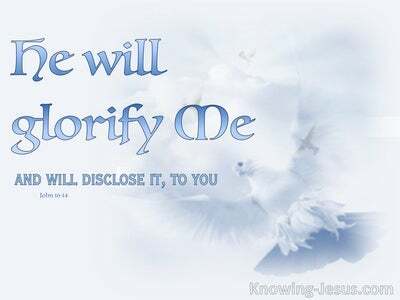 Father, how I praise Your holy name for all Your loving kindness to me and all Your children. 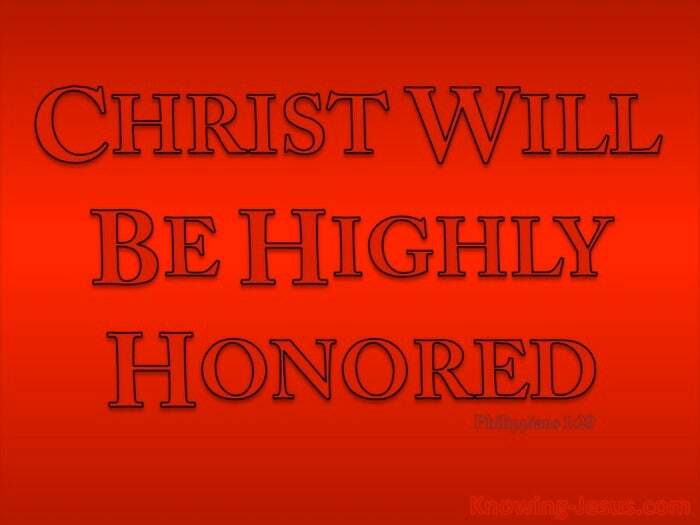 Give me boldness to be a faithful bond-servant all the days of my life for my earnest expectation and hope is that in nothing I shall be ashamed but rather honour You in every area of my life - this I pray in Jesus name, AMEN.